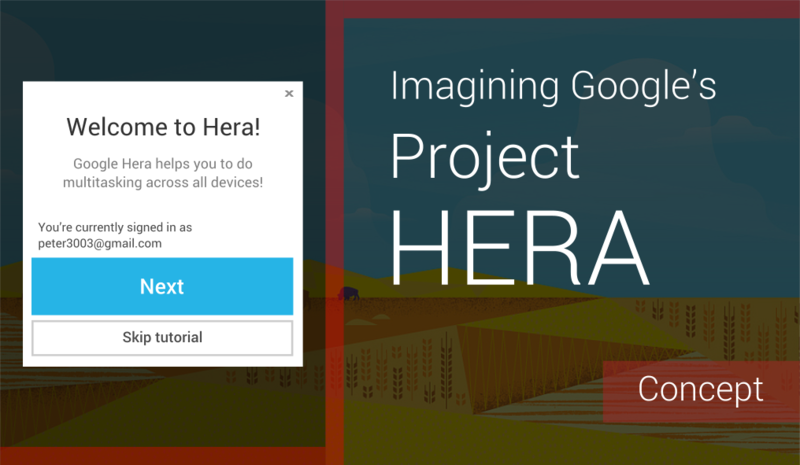 You might already have heard about Project Hera, a huge update Google is currently working on to "bridge Android, Chrome and Search". The project, which we first got to know through an extremely coarse and confusing Androidpolice article, seems to be definitely true, but only very few information is given at this time. Hera�s main goal is apparently to create a cross-platform experience comparable to the tab-syncing feature of Google Chrome. It's also said that the user will be able to interact with an app without having to actually fully start it. Also, a great shift in user interface design seems to be on the way, aligning the experience across Android and Google�s web services even more. 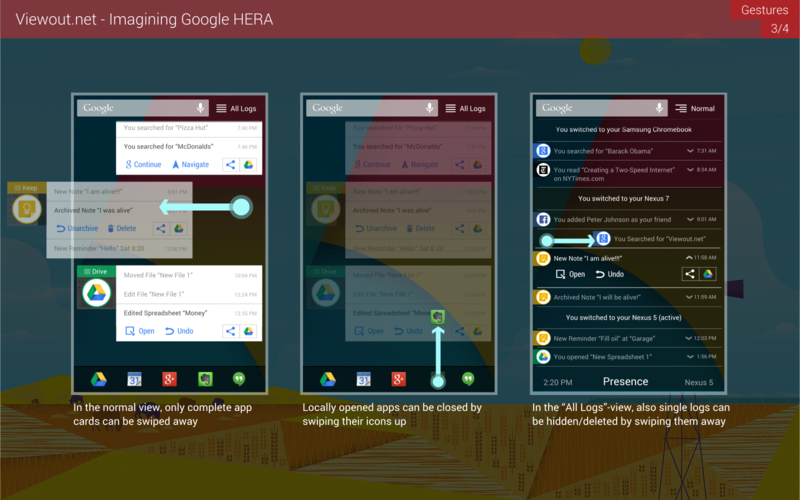 I thought much about what such a cross-platform multitasking feature might look and work like, and I'm proud to present you this concept imagining Google Hera. It's extremely unlikely that Hera will even work only a bit similar to this, but it might paint a clearer picture of the great possibilities Hera might bring. The core powers of this concept lie in a very seamlessly workflow and a strong integration of also non-Google services. It should also be noted that everything we know about Hera up to know is actually fulfilled by this concept. To reach the goal of a cross-platform experience, this concept introduces a new element: �logs�. Android and Chrome apps should enter logs for every relatively important change made by the user. 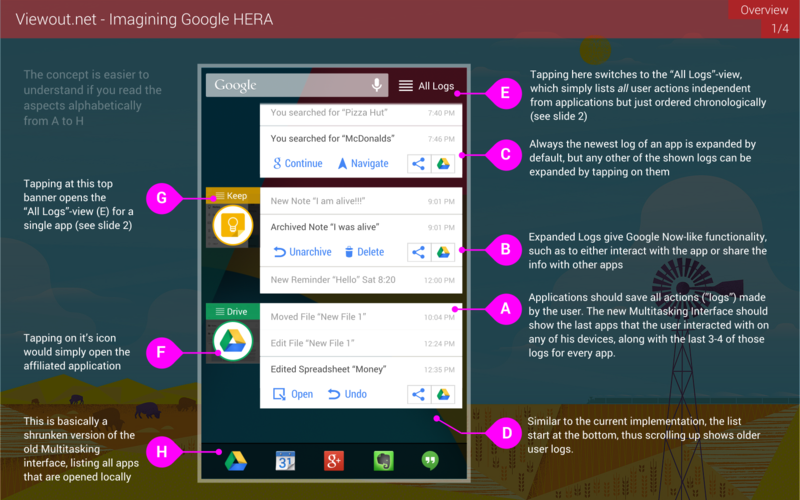 For example, if the user creates a new note, Google Keep should create a log for this action in the background. What exactly is log-worthy is very relative and depends heavily on the user and on the application. For simple note-taking apps like Keep, deciding what's log-worthy is significantly easier than for example for a more complex apps like Facebook. A simple like, for instance, is definitely not log-worthy. A new friend is probably always worth a log. If an user shares dozens of posts every day, such a new post might not be log-worthy. However, if an user only shares a new post all few weeks, the same action might be log-worthy though. Due to this, apps should simply transfer all actions blindly to Google and let the search giant decide what's important and what's not himself - based on the users usual behavior. Apps could, however, include a small rating how important an info is together with their logs. 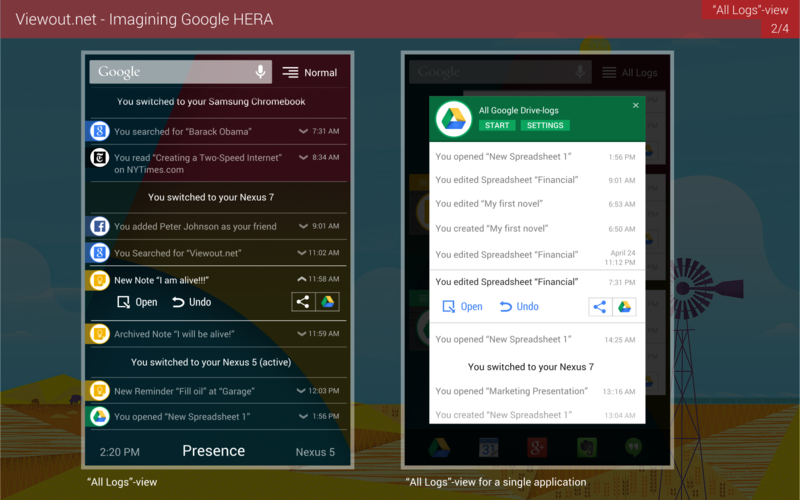 The old multitasking interface would have to make place for the new Hera interface, which lists the last apps the user has been interacting with on any of his devices. 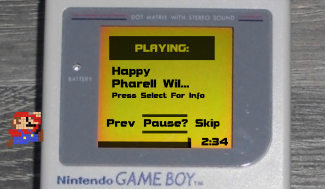 Similar to the current implementation, the user would start at the bottom, thus scrolling up shows older apps. Every of these app-cards include the latest (important) logs for the app. The number of shown logs depends again on the situation, however there should not be more than about 3 to 5. The purpose of all this is that when opening the multitasking interface, the user gets a coarse image and gets reminded of what he was doing last. He might simply open an app by tapping on the app icon, but he can also interact with the app directly from this interface in a Google Now-like way. By default, always the newest log is expanded, but any log can be expanded by tapping on it. Besides 1-2 app-specific interaction options, the user can also share the data of a log with any of his apps, just as it has been possible on Android for years. Google Now cards do currently not include such an option to share info with any app, but they should probably also get something similar soon. The aim is to give the user more freedom and possibilities, and to strengthen the relationship to developers. 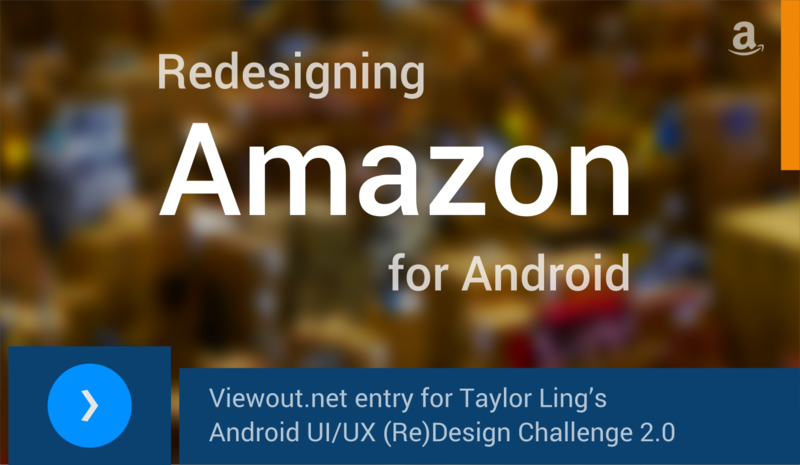 Developers shouldn�t feel like they�re only on a second rang on Google devices. 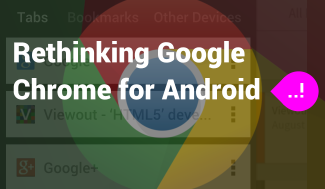 By restricting the main options to it�s own services, but allowing the user to connect with any app manually, Google would probably have found a good balance. What exactly is shared would depend heavily on the log. Google should understand the info. If you created a new note, the info that would be shared would probably be the note-text. If you searched for a restaurant, either address or phone number might be shared depending on the app that the info is shared with. Similar to the Hera article, this concept probably sounds a bit confusing at first, too. The concept pictures aim to explain what I�m talking about.. I think this could work pretty well. It would be a steadfast cross-platform experience. As you can see in the concept pics, there are a few more things that this new Hera interface can do. Apps that are opened locally on a device (alias the current multitasking interface) would still be available, but much smaller and moved to the bottom. The user can still close locally opened apps by swiping up. Also the Hera cards can be swiped away. A single log of an app, however, can only be deleted in a special �All Logs�-view, which simply lists all logs chronologically and independent from which application sent them. The �All Logs� interface is reached via a button at the very top. Also, the user can chose to get shown all logs of one single app. By introducing logs, Google also gains much more new possibilities outside of multitasking. Logs can be seen as the counterpart of Notifications. 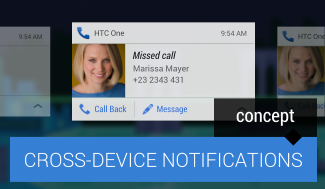 And similar to how powerful Android notifications are today, logs will probably also prove very useful in many places, as for example for Google Now. Being a cross-platform project, there would also exist special Hera interfaces for Chrome and Chrome OS (and maybe even hostile systems like iOS and Windows). I personally guess that Google will probably lay the focus much more on it�s own services within the real project Hera. Most likely, it will work more like Google Now instead with an easier, less transparent interface than here. What do you think about this? Would you like such a cross-platform multitasking feature? 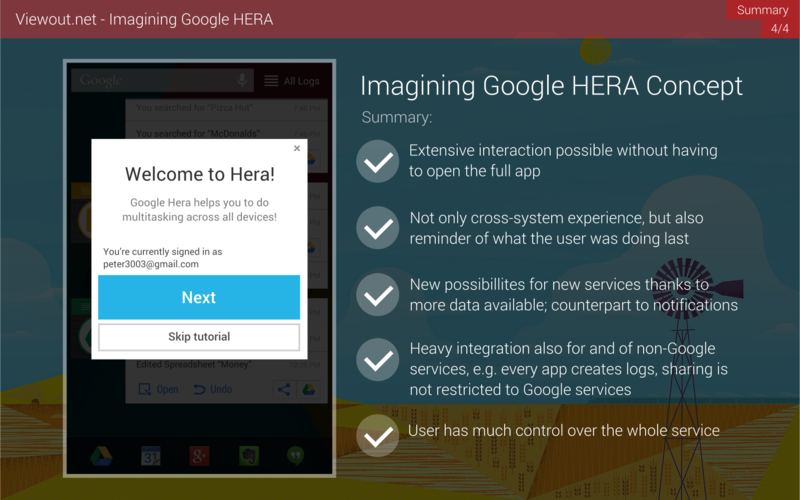 What do you think will Google Hera be like in reality? 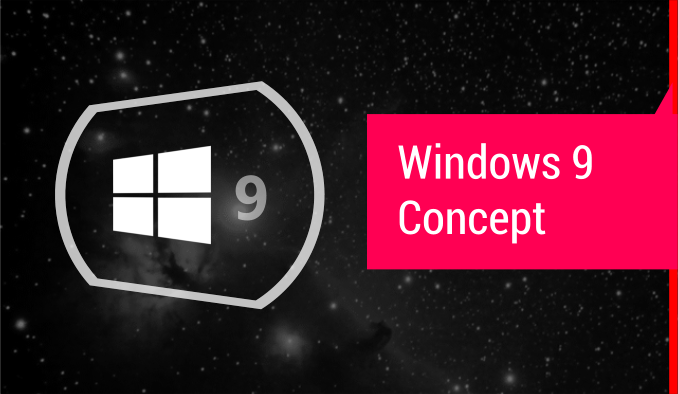 Imagining the next iteration of Windows. Imagining an interface that brings PC-level productivity to tablets.